Since it's almost Mother's Day, I'm going to post a gratuitous blog entry about the brightest part of my day—my little baby, Rex, aka Tyrannosaurus Rex, Booger, Poop Face and a million other nicknames that Brian and I have collectively come up with over the last year and a half. 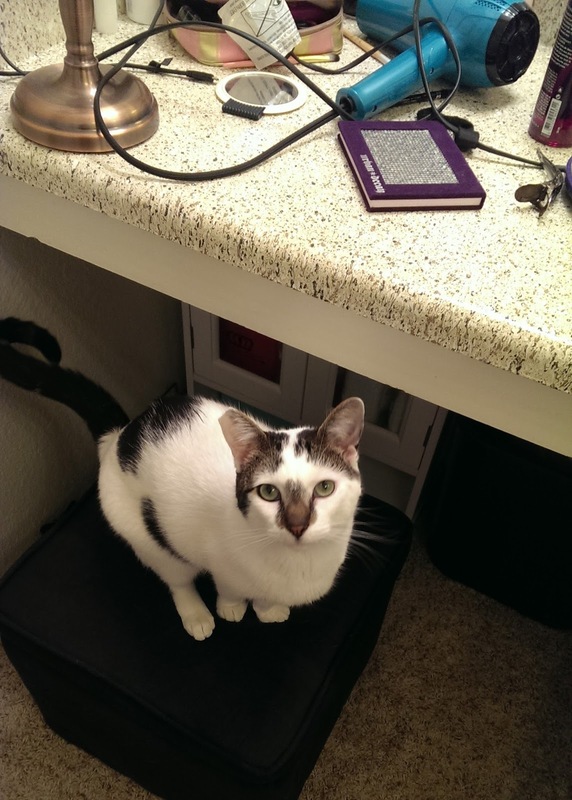 Every morning as I get ready for work at my vanity, Rex jumps up on my lap while I'm sitting on my ottoman. Not only does he nuzzle my arm—and I kid you not with this part—he puts his two front paws up on my shoulder and rests his chin on my chest. And then he stands there like that for a good minute. 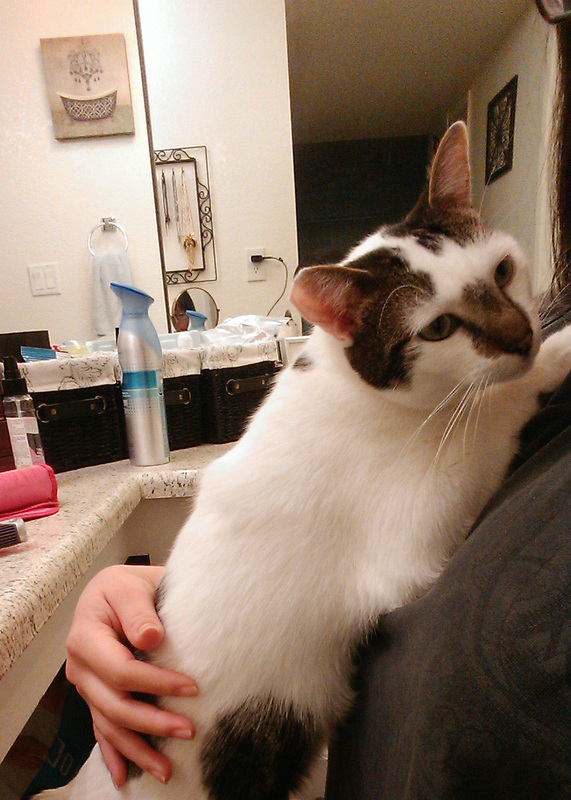 Sometimes he'll even try to climb up so that his back feet rest in the crook of my elbow, effectively forcing me to carry him. Every. Single. Morning. Is it annoying? Sometimes. Does he get in the way as I'm trying to rush out the door? Always. But do I love every minute of it? You bet. I may not be ready to be a mom (major props to my own mother for putting up with my slovenly habits and general brattiness for many, many years), but holy crap do I love my cat. He's my version of a puppy and a baby rolled into one, but it's even better because he's never going to get bigger than he is now (unless he continues to tear apart perfectly good bags of hamburger buns and destroy them with his iron stomach). 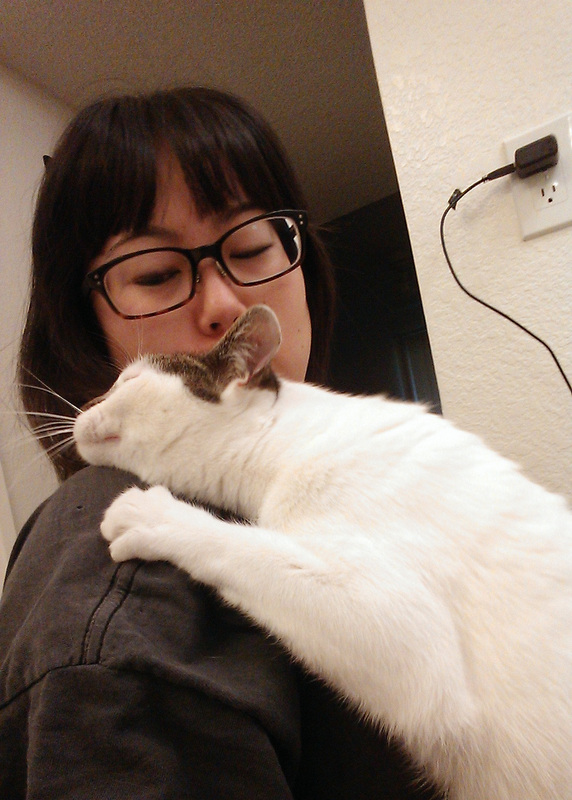 He does tricks, he cuddles, he's happy to see me when I get home—oh and did I mention I'm kind of allergic to him? Can't win 'em all.